Previously researchers have lowered the band gap by doping TiO2 with metal or non-metal atoms, or by introducing intrinsic defects into TiO2 crystals. But while these methods increase the amount of visible light absorbed by the material - creating 'dirty' brown TiO2 nanoparticles - they still do not absorb in the infrared. Samuel Mao, Peter Yu and colleagues at the University of California at Berkeley instead used hydrogenation to create a black form TiO2 which absorbs light in the UV, visible and infrared part of the spectrum. They found that the hydrogenation process created disorders in the surface layer of the nanocrystal. Based on their calculations they suggest the hydrogen also 'mops up' broken titanium and oxygen bonds, forming complexes which lower the band gap to the near infrared. Max Lu , an expert on functional nanomaterials at the University of Queensland, Australia, thinks this is a significant breakthrough in TiO2 photocatalysis. 'The hydrogenation approach is novel and unique among many methods of surface doping or modification of TiO2 to increase photocatalytic activity under visible light irradiation,' he says. The researchers demonstrated that the black TiO2 was able to catalyse the photo-decomposition of organic molecules much better than normal nanophase TiO2. They also found its ability to catalyse the splitting of water into hydrogen and oxygen under sunlight was greatly improved. 'Compared to conventional TiO2 and other oxide materials it exhibits significantly higher efficiency under the same conditions,' says Mao. Chemically modifying proteins is fundamental to biochemical research, but it is far from easy to get the result you want. Chemists in the US have now developed a powerful strategy for selectively modifying the side-chains of proteins, which they hope will enable the creation of new tools to investigate protein interactions involved in human diseases. Modifying the side-chains of the amino acids that make up proteins is straightforward enough, but as a particular type of side-chain may appear many times in a given protein, modifying just one of them is a tough challenge. Brian Popp and Zachary Ball at Rice University, Houston, have been using the ideas of chemical reactivity and reaction design to try and solve this problem. In their elegant solution, they decided to dispense with the standard approach of designing a highly selective reagent. Instead, they used a reagent that is hardly selective at all, but one that only works in the presence of a rhodium catalyst. The clever bit is to place the catalyst exactly where it's needed by attaching it to a coiled peptide that binds to the right bit of the target protein. This brings the catalyst and the side-chain into close proximity, allowing them to react as soon as the reagent - a diazo derivative of styrene ­- is added. Ball thinks that this approach is 'a big step forward'. He says that its main benefit is that the high reactivity of the diazo compound allows it to react with the side-chains of over half the naturally occurring amino acids, 'a broader range than any established method,' he says. The method is also highly specific, as any catalytic units that start to react where they are not wanted are quickly destroyed by reaction with water, which is the solvent for the reaction. Patients with lung cancer have elevated levels of a specific protein in their blood that could be used as a biomarker for the disease, say scientists from South Korea. Je-Yoel Cho from Kyungpook National University and colleagues saw that levels of the beta chain form of haptoglobin - a protein produced by the liver when disease is present - increased in blood samples when lung cancer cells were present. 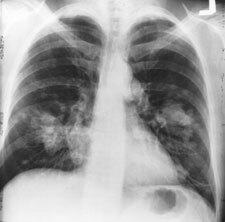 Among cancer types, lung cancer frequently ranks at the top in both incidence and mortality, according to the World Health Organisation. The discovery of novel lung cancer specific biomarkers - substances in the blood whose levels indicate the presence and extent of the disease -is important for early detection. Current techniques to detect cancer aren't able to give an early diagnosis. Cho and his team identified haptoglobin in human blood serum samples and compared levels of the protein in lung cancer patients' samples with those of healthy people. They found that the levels of one particular form - the alpha form - of the protein were the same in all samples, but the levels of the beta form were four-fold higher in lung cancer patients. When they compared lung cancer blood samples to samples from other cancer types, such as breast cancer, they saw that the beta form levels in the other cancer types were similar to those in the healthy samples. This data suggests that the beta chain increase could be an indicator of lung cancer, say Cho and the team. One explanation for the elevated levels of the beta chain in lung cancer patients is that, unlike the alpha chain, it binds to glucose molecules in lung cancer blood sera, say the researchers. 'It's possible that the glycosylated haptoglobin beta chainis more stable and has a longer half-life in lung cancer sera,' they said. Cho aims to continue looking for new lung cancer biomarkers using lung cancer tissue, primary cells, or their secretory proteins, which can be detected in sera or sputum. Light activated reactions of organic molecules in fatty acid membranes offers a plausible method for energy transfer and storage in prebiotic systems, claim US scientists. Could this help to explain how life began? We don't know how early cells were formed. One theory among many is that the first cell like structures were made through the self-assembly of fatty acids to form vesicles - membrane-enclosed sacks that can store or transport substances. However, this hypothesis leaves many questions unanswered, including how these vesicles harness energy for chemical reactions - an essential step for creating more complex systems. The team made vesicles from a hydrophobic - water-hating - membrane of fatty acids and PAHs surrounding a void containing metal anions. In a series of chemical reactions, electrons were transferred across the membrane and trapped by the charged molecules in the void. The PAH acted as a photocatalyst to reduce the metal anions. It was then regenerated by the oxidising molecules outside the cell, which act as an electron source. ost chemical reactions involve two electron processes,' he says. To create the vesicles, the team used a complex mixture of short chain fatty acids and PAHs based on carbonaceous meteorite compositions to try to mimic the environment on the primordial earth. Nine years ago, Russian researchers sparked controversy when they claimed to have separated water into its two spin isomers. Now, chemists in Israel claim to have performed a similar feat using a different method, and suggest the outcome could deliver highly sensitive nuclear magnetic resonance (NMR) experiments. Water molecules come in two spin isomers: one 'ortho-water' with the spins of the constituent hydrogen atoms parallel, and one 'para-water' with the hydrogen spins anti-parallel. The two isomers have subtly different properties that become important in diverse fields of science. In astrophysics, for example, the ratio between ortho- and para-water is used to determine temperatures in interstellar space, although the data are hard to interpret - partly because scientists have been unable to study either isomer on its own. Gil Alexandrowicz and colleagues at the Technion-Israel Institute of Technology in Haifa may have got around the problems of Tikhonov and Volkov's experiment, however, with a method based instead on the deflection of water molecules in a magnetic field. Based on the famous 1920s Stern-Gerlach experiment in quantum mechanics, the method involves sending a beam of water vapour through a six-poled magnet, which bends the trajectories of the water molecules depending on their spin projection. The result for Alexandrowicz's group was a focused beam of ortho-water vapour. The beam is passed through a magnetic assembly. One of the spin projections of ortho-water is focused by the magnetic field, and the other spin projections diverge in space. Limbach, who was sceptical of the Tikhonov and Volkov experiment, believes Alexandrowicz's group may have proved successful in separating ortho-water. However, he claims there will be no practical benefits of the separation, because as soon as the ortho-water vapour is captured in a liquid or on a surface the hydrogen spins will convert to produce a normal mixture. As for applications in NMR - 'that's completely nonsense,' Limbach says. 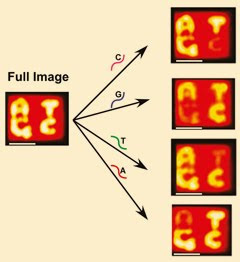 DNA origami and atomic force microscopy have been combined to reliably detect and image single nucleotide polymorphisms (SNPs) - the most common form of genetic variation in the human genome. The advance could contribute to the growing field of personalised medicine, and illustrates the potential of DNA origami for diagnostic applications. SNPs are variations in a single nucleotide (A, T, C or G) in a stretch of DNA, and can determine how individuals might be susceptible to certain diseases and respond to pathogens, chemicals and drugs. 'In terms of genetic variations and potential medical applications, you want to know that certain things are present in genomes and this is a way to get at them,' says Ned Seeman who led the study at New York University, US. Detecting SNPs usually requires expensive DNA microarray techniques that label sections of DNA where SNPs occur. However, Seeman's approach differs in that there is no need for labels, using a technique based on a visual read out. First the team created the letters A, T, C and G on a DNA origami tile 100nm square. They did this by using single staple strands of removable DNA that, when exposed to UV light, became two different strands - one holding the DNA origami together while the other revealed tiny bumps that acted like pixels to show a pattern of an individual letter. The bumps making up each letter, however, also have distinct binding sites that are complementary to the nucleotide they represent. So for example, the strand that displays a T shape has sites that are complementary to thymine. This means that when a DNA strand containing an SNP involving thymine is inserted into the system, it binds only to the strands that make up the T pattern, thereby removing it while the other letters remain visible under AFM. Programmable nanostructures based on ribonucleic acid (RNA) could be used as vessels for shipping therapeutic molecules into cells, according to US scientists. The researchers showed by experiment that RNA assemblies designed on computers were stable and could accommodate multiple siRNAs - short RNA fragments with broad therapeutic potential as regulators of gene function. RNA is a present naturally in large quantities in the cell. Synthetically produced RNA is therefore an attractive candidate for bio-compatible therapeutics. Through computer-aided design, however, it is possible to achieve structures that would never be found in nature. Researchers at the University of California, Santa Barbara and National Cancer Institute in Maryland created self-assembling hexagonal nanorings of RNA - structures that lead researcher Luc Jaeger describes as 'quasi-digital'. 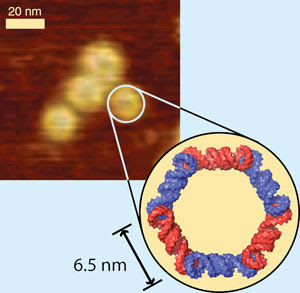 Generating the six-sided structures required careful selection of RNA sequences in order to avoid the particles self-assembling into more readily formed but less thermodynamically stable five-sided rings. Jaeger's team adapted structural elements from bacterial RNA known as 'kissing-loop complexes'. Each side of one of their 15nm hexagons is a RNA unit ending in a loop that, at a corner of the hexagon, meets or 'kisses' another loop. The angle at each 'kiss' is 120º, thus forming a perfect hexagon. The team armed their structures with six siRNA molecules - one on each side - and showed that an enzyme called Dicer was capable of breaking up the packages to release the individual siRNA components. Theoretically, naturally occurring Dicer would do this job inside cells. In this way, Jaeger says, he envisages targeting several different genes, or sites within the same gene, at once. A highly permeable shell made for living cells could substantially extend their lifetime in bioengineering applications, including aiding bone repair, say US scientists. Vladimir Tsukruk and colleagues at the Georgia Institute of Technology, Atlanta, in collaboration with a team at Wright-Patterson Air Force Base have developed a coating that offers cell survivability of around 80 per cent up to six days. Current coatings allow a lifespan of only a few days and a survivability rate of 20-30 per cent. 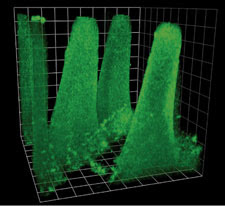 Living cells are used in applications such as biosensors and tissue engineering. For example, stem cells can be incorporated into a bone fracture or a wound to encourage tissue regeneration. In such hostile environments, the cells require a protective coating that doesn't block the diffusion of nutrients that keep the cells alive. Tsukruk says that weak permeable shells are not easy to assemble. 'They become unstable and decay within a few hours,' he says. Robust shells are made by alternating cationic and anionic polymer layers, but the cations' positive charge can kill cells. Tsukruk's team developed their coating using hydrogen bonding rather than ionic forces, which causes less disruption to the cell. The coating combines tannic acid, a naturally occurring weak acid with antioxidant and antibacterial properties, and poly(N-vinylpyrrolidone), a neutral non-toxic polymer. Both components are known to be biocompatible and they form a pH stable shell with a porous surface structure, which is permeable to essential cell nutrients. 'The chemical and practical procedure must be compatible with the cell viability,' says Francesca Cavalieri of the University of Rome 'Tor Vergata', Italy, who specialises in designing polymer structures such as microcapsules for drug delivery and tissue engineering. She agrees that Tsukruk's use of hydrogen bonding is minimally invasive but warns that 'an increase in temperature could break the hydrogen bonding interaction and disassemble the multilayer film'. Tsukruk's group hopes to develop their research further to remove all cationic components from the coating to further increase cell viability. Researchers in Sweden have found a way to boost the specificity of drugs and other protein binders. 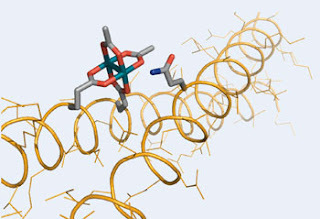 The method, which involves attaching polypeptides to the binders, could help reduce the work required to develop protein binders into safer drugs. Almost all drugs are protein binders. They work by interacting with certain proteins so that the proteins' functions are blocked or stimulated, depending on the effect required. Protein binders are also used in medical diagnostics, industrial protein purification and many other areas of biotechnology and bioanalytical research. "We cut out much of the work in between a lead and a drug"
The problem, however, is finding binders that target only specific proteins, since targeting others could result in toxic effects. Drugs ('synthetic' protein binders) tend to be small, and therefore have few chemical 'handles' to bind with. This means there is always a risk a potential drug will interact with proteins other than those intended. Moreover, proteins can change shape once they interact with a drug, thereby opening themselves up to interaction with other binders. The result is that many protein binders thought to be effective drugs fail once researchers realise their interactions are not specific enough. 'Nineteen out of twenty small molecule projects are cancelled in big pharma due to unexpected toxicity or poor effect, which are both signs of limited specificity in the human body,' says Lars Baltzer of Uppsala University. Now, Baltzer and his colleagues may have found a way around this problem. They take a smaller protein binder and link it to a set of polypeptides, each of which has many possibilities to interact with a protein. 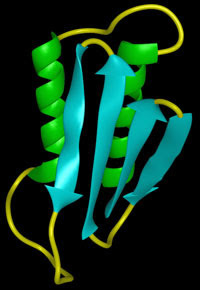 In this way, a protein binder that has just 10 possible groups to interact with a protein can be modified to have over 50, vastly increasing its specificity. Andrew Wilson, a chemist specialising in protein binders at the University of Leeds, UK, says the work is 'quite nice', but notes there are other technologies to improve binding specificity. 'What is impressive is that the enhanced binding seems to be observed with a comparatively small set of diverse polypeptides - I would not have predicted this,' he says. Canadian scientists have, for the first time, been able to identify spectroscopically carbon dioxide clusters that could provide valuable information on intermolecular interactions. 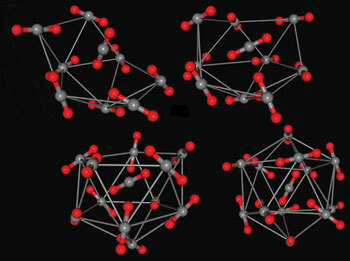 Despite the significance of carbon dioxide in atmospheric chemistry and use of supercritical carbon dioxide as an industrial solvent, the spectroscopic identification and study of carbon dioxide clusters have so far been limited to the dimer and trimer, as larger clusters can break up when being analysed. Now, Robert McKellar and his team at the University of Calgary and the Steacie Institute for Molecular Sciences, Ontario, have identified (CO2)6 to (CO2)13 clusters using high resolution infrared (IR) spectroscopy. The group was able to simulate IR spectra using previously published theoretically predicted structures and the PGOPHER software program, developed by Colin Western at Bristol University, UK. They then used these simulated spectra together with obtained rotational constants to help assign bands in their experimental spectra. The results will contribute to the fundamental understanding of the transition between gas phase and condensed phase carbon dioxide, says McKellar. In addition, being able to measure carbon dioxide cluster spectra will aid other research areas, for instance, where supercritical carbon dioxide is used to dissolve molecules and bring them into the gas phase in order to perform spectroscopy on them. 'In order to get a clear spectrum of your molecule, you would need to know the spectrum of your cluster so that you could subtract cluster effects from your molecule's spectrum,' explains Hendrik Nahler, an expert in clusters at the University of Durham, UK. McKellar's technique could enable this. McKellar now plans to try observing even larger clusters to learn more about the intermolecular attractions. 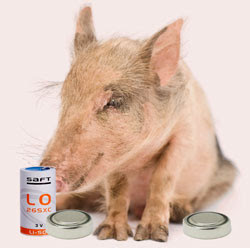 Scientists in China have developed an electrode for lithium-sulfur batteries using pig bones as a cheap and renewable carbon source. Lithium-sulfur batteries are promising rechargeable batteries because of their high energy storage capacity and low cost, but their use has been hindered by their short life cycle and loss of active sulfur through electrochemical reactions in the battery. Porous carbon materials can help as the sulfur is trapped in the pores, preventing it reacting further, but their preparation involves many synthetic steps. Now, Yaqin Huang and his team from the Beijing University of Chemical Technology have discovered a porous carbon source in pig bone. To make the porous carbon, Huang's team crushed the bones to a powder and heated them to 450ºC to carbonise them. Bones consist of an organic component, mostly collagen, and apatite crystals - bone minerals made of calcium - dispersed in the collagen that act as natural templates to make the porous structure. The team activated the carbon by adding potassium hydroxide, which increases the surface area, and heating the mixture. They investigated the effects of activation temperature on the new carbon/sulfur cathode and found that the carbon prepared at 850ºC had the highest surface area, largest pore volume and best conductivity and that it maintained its structure up to 950ºC. They also found that the cycling performance was higher than that of normal cathodes with compact structures. 'The development of rechargeable batteries that can be coupled to renewable sources is becoming more important for clean and efficient energy storage,' explains Huang. Scientists have made a nanoparticle that breaks up into smaller units once it reaches its target, allowing it to penetrate deeper into tumour tissue and deliver treatment more effectively. While a lot of effort has gone into developing nanoparticles to deliver drugs to treat cancer, in reality these therapeutics often show only modest benefits because they are too large to pass deep into the tightly packed tissue within tumours. Scientists at the Massachusetts Institute of Technology (MIT) and Harvard Medical School in the US have now suggested a potential solution, using a system that bares more than a passing resemblance to a disintegrating fruit jelly. However, according to Fukumara, once the 100nm particles get to their destination, they are too big to travel into the dense tissue matrix of the tumour itself. The collaboration with MIT allowed the team to develop proof of principle gel nanoparticles that overcome this problem. The new nanoparticles are 100nm balls of gelatine that contain small particles that are only 10nm in diameter, a bit like a fruit jelly dessert. The gelatine nanoparticles get to the tumours, and then tumour enzymes digest the gelatine and release the smaller constituents, that then move through the tumour. In vitro studies showed that the particles penetrated tumour tissue much better traditional larger nanoparticles that remain one size. But Paul Borm, a nanoparticle medicine specialist at Zuyd University in the Netherlands has some concerns that what has worked in vitro might not work once the small nanoparticles have a drug attached to them. Fukumura, however, stresses that this is a proof of principle work, to show that the approach is valid. The team now intends to optimise the transport of the small nanoparticles through the tumour tissue, finding the size, charge and surface chemistry that is most effective. Prions - the infectious misfolded protein molecules that cause mad cow disease (bovine spongiform encephalopathy, BSE) and other fatal neurodegenerative diseases including vCJD (variant Creutzfeldt-Jakob disease) in humans - can be transmitted via aerosols, a new study finds. The researchers behind the work stress that this airborne route of prion infection, which was observed in the lab using aerosol sprays, is unlikely to occur in nature, but advise labs, slaughterhouses and animal feed plants to revise their safety procedures as a precaution. Transmissive spongiform encephalopathies (TSEs) are caused in several mammals by prions entering the host organism, mainly via contaminated food, drink and bodily fluids, which act as a template that causes a protein found in brain and nerve cells to replicate in a misfolded form. This replication eventually destroys the infected cells and ultimately kills the animal. It was generally thought that prions were not transmitted by air, but now Adriano Aguzzi and colleagues at University Hospital Zurich, Switzerland, with Lothar Stitz at the Federal Research Institute for Animal Health in Germany have confirmed an airborne route to infection. Mice were placed inside inhalation chambers and exposed to aerosols containing prion infected mouse brain cells. After only a minute's exposure, the team observed that all of the mice had become infected. 'We have good evidence that the prion gets access to nerve endings in the nose and thereby moves to the brain without further need for propagation and/or adaptation,' explains Stitz. Stitz agrees that such conditions are unlikely to exist outside the lab, but he insists it is necessary to know about all possible routes of infection. 'I think at least in slaughterhouses this finding might cause a check of procedures used and, if necessary, a revision of methods or improvement of personal security equipment. There are so many pathogens around that we still do not know about and one should not challenge them to act,' he adds. US scientists have developed antibodies against a protein belonging to methicillin-resistant Staphylococcus aureus (MRSA) bacteria. The researchers say the antibodies, which interfere with the superbug's growth, are 'attractive candidates' for a potential vaccine to prevent MRSA infection. Edward Schwarz and colleagues at the University of Rochester Medical Center in New York developed antibodies against glucosaminidase, a subunit of the bacterial protein autolysin, which is crucial to its replication process. They announced their findings in an abstract presented at a meeting of the Orthopaedic Research Society in Long Beach, California, US. The researchers developed their antibodies from immune cells isolated in mice injected with glucosaminidase, selecting some of these to make 'hybridoma' cells capable of producing antibodies against the protein. Schwarz's team eventually narrowed down its candidates to just four antibodies, showing they slowed the growth of MRSA in a test tube. Under the electron microscope, they confirmed that bacteria cultured with one of these antibodies were unable to divide. 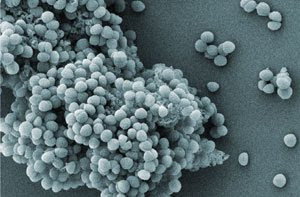 According to Schwarz, these studies bring them closer to a MRSA vaccine than ever before because they use mouse antibodies of one specific type - monoclonal antibodies or mAbs. 'Others have evaluated experimental passive immunisation with rabbit polyclonal antibodies, which cannot be used in humans,' he says. But the Rochester team is already one step ahead - early results from a trial in mice are due to be announced as this article publishes. They show 'passive immunisation is protective', Schwarz says. Phase I human trials are scheduled for 2012. As Lindsay points out though, people who have previously been infected with MRSA will already have natural antibodies against it - potentially including antibodies against glucosaminidase - but these do not appear to protect them from reinfection. Schwarz's team is currently addressing this issue in a small group of patients with S. aureus bone infections, by analysing levels of natural antibodies to the protein. He believes those without natural antibodies could be candidates for a vaccine. A portable forensic device to detect nuclear isotopes intended for use in weapons has been made by scientists from Canada. The method was miniaturised without compromising its sensitivity, making it suitable for use by nuclear safeguard inspectors travelling the world. The device designed by François Doucet, from the National Research Council Canada, and colleagues, combines laser induced breakdown spectroscopy (LIBS) with chemometrics (statistical analysis). 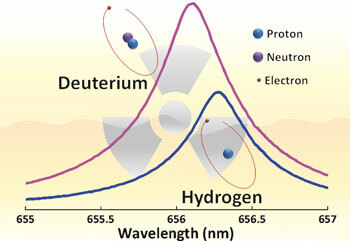 It can produce instant results of uranium-235/uranium-238 and deuterium/hydrogen isotope ratios. Uranium-235 enrichment of 0.7-4.5 per cent can be considered normal for civil power generation, depending on the reactor type. Enrichment above 4.5 per cent can be suspected as being intended for military applications. 'The instrument needed to be sensitive enough to achieve the required detection limits and rugged enough to meet the field requirements of the International Atomic Energy Agency (IAEA),' says Doucet. 'Our work demonstrates that present commercial components can achieve these requirements in a handheld LIBS sensing configuration,' he adds. When we think about forensic scientists, we usually picture people in crisp white lab coats in high tech laboratories, or gathering evidence at crime scenes behind yellow police tape. Some forensic scientists, however, have to travel a lot further than that. The IAEA is responsible for the safeguard of the world's supply of uranium, plutonium and thorium. Their main purpose is to prevent nuclear proliferation. This often requires investigators to travel throughout a particular country to verify that nuclear levels are below the limit set. At the moment, isotopic measurements are performed using techniques such as high resolution gamma spectroscopy or inductively coupled plasma-mass spectrometry. Unfortunately, when these techniques are miniaturised, it can compromise their analytical merit, and samples take a long time to prepare. Currently, IAEA inspectors use swipe kits to take samples, which are sent back to a lab. This gives very accurate results, but it takes a long time to get them, especially given the number of swipes taken each year. Researchers have developed a catalyst that efficiently converts toluene into a useful industrial intermediate in a much greener process than traditional methods. In the future, the technique could be scaled up for industrial use, they say. 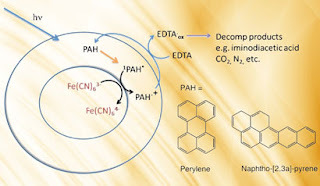 A team led by Graham Hutchings at Cardiff University in the UK has now converted toluene to benzyl benzoate catalysed by nanoparticles of a gold-palladium (Au-Pd) alloy supported on carbon (Au-Pd/C) or titania (Au-Pd/TiO2). The reaction, which took place under mild and solventless conditions, showed very high selectivity and generated benzyl benzoate in yields as high as 95 per cent. Benzyl benzoate is a versatile intermediate in many processes, used for example in pharmaceuticals, solvents, plasticisers and perfumes. 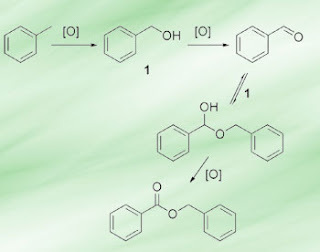 However, methods to produce the compound are hampered by environmentally unfriendly reagents or low conversion rates to obtain the clean product. By making colloid particles containing both gold and palladium nanoparticles of 3-4nm in size, and then supporting them on carbon or titania, the team produced a modified version of a Au-Pd catalyst that is a known oxidising catalyst. The toluene is activated by the catalyst to form benzyl alcohol which is oxidised to form benzaldehyde. Benzyl alcohol and benzaldehyde then interact to form a hemiacetal - a species formed when an alcohol and a carbonyl group on separate compounds react. The hemiacetal is then oxidised to form the benzyl benzoate, with trace amounts of impurities. The team also found that the catalyst support had an effect on the reaction. 'The Au-Pd/C catalyst is almost twice as active as the Au-Pd/TiO2 catalyst, and we were able to show using electron microscopy the morphological effects as to why that was,' Hutchings tells Chemistry World. They found that the Au-Pd nanoparticles on the TiO2 formed an extended flat interface, whereas the nanoparticles on the carbon were rougher with a higher number of low coordination number edges/positions. If these edges are the active sites for toluene oxidation, it could explain the different activities of the catalysts. 'It is anticipated that this system will have many applications and the catalyst will become an essential oxidising agent for chemistry with uses in pharmaceutical chemistry and organic synthesis,' says Matthew Jones, an expert in heterogeneous catalysis at the University of Bath in the UK. 'The advantage of this system is that it does not use any environmentally unfriendly reagents to oxidise the toluene - whereas current industrial processes do,' he adds. 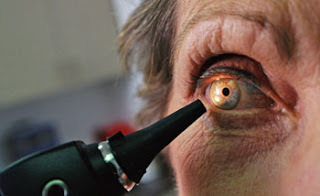 The UK is moving closer to opening up the National Health Service (NHS) to cancer drug Avastin (bevacizumab) for the treatment of eye conditions, such as age-related macular degeneration (AMD). On 6 December 2010, the National Institute for Health and Clinical Excellence (Nice) published a report in which it concluded there is support for an appraisal of the drug for eye conditions. Nice is now waiting for the Department of Health to refer it officially to Nice for consideration as part of its technology appraisal programme. The step will be a blow to the companies involved in this long running debate. Avastin is a humanised monoclonal antibody developed by Genentech, now a subsidiary of Roche, approved for the treatment of several types of cancer. It targets vascular endothelial growth factor A, which stimulates the growth of blood vessels and is involved in the wet form of AMD. But Genentech did not pursue it commercially for the treatment of eye conditions. Instead, it developed Lucentis (ranibizumab) from a fragment of the antibody, which it licensed to Novartis in all regions expect the US. Lucentis was granted EU marketing approval for the treatment of eye conditions in 2007. Doctors have continued using Avastin for eye conditions - Avastin costs £50 per injection compared with over £700 for Lucentis. Nice, which assesses drugs in terms of their efficacy and cost, does not normally look at those without marketing approval. Avastin and Lucentis are very similar in terms of efficacy, says Ian Grierson, head of the ophthalmology research unit at the University of Liverpool, UK. Furthermore, they are extremely important in the clinic. 'Without these drugs, there aren't a lot of treatment options,' he adds. According to the Nice report, Roche representatives said the decisions was made based on 'corporate considerations'. Furthermore, they said the company had no plans to apply for AMD authorisation for Avastin. Grierson says that Lucentis was probably developed for 'very sensible but theoretical' reasons. 'There was concern at the time that Avastin might trigger an immune response because of its size,' says Grierson - Avastin is 150kDa, compared with 50kDa for Lucentis. The immune system can be suppressed with other drugs, but the risk this adds might outweigh the benefits of treatment for patients with eye conditions, compared with patients with life-threatening cancer. But it seems that, in the low concentrations needed for the eye, Avastin does not cause immune problems, he says. The Royal National Institute of Blind People, which receives funding from Novartis, said in response that a safety review was needed before starting an appraisal of cost-effectiveness. 'To run these in parallel risks a waste of resources should the drug not meet the safety criteria,' said head of campaigns and policy Steve Winyard. Avastin is a blockbuster drug for Genentech and Roche, generating in 2009 sales of CHF6.6 billion (£4.4 billion), 16 per cent of total Roche sales. But recently it has struggled with safety concerns, in particular links to cardiovascular problems. In a recently published meta-analysis of articles published between 1966 and 2010, researchers found that patients with breast cancer that took Avastin were almost five times more likely to be affected by heart failure.2 In December 2010, the US revoked its fast track marketing authorisation for breast cancer, granted in 2008. Meanwhile, Lucentis made 2009 sales of $1.2 billion (£800 million) for Novartis, up 39 per cent compared with the year before. US scientists have found a way to stop solid byproducts clogging channels in continuous flow reactors, a problem that has hampered their progress for use in manufacturing pharmaceuticals. Klavs Jensen, Stephen Buchwald and their team at the Massachusetts Institute of Technology believe that flow methods will become increasingly important in the future of pharmaceuticals and chemical manufacturing. 'One of the biggest hurdles is handling solids,' says group member Timothy Noël. 'Precipitates can form during the reactions, which usually lead to irreversible clogging of microchannels in the reactors.' Previous methods suggested to overcome this problem include introducing another solvent to dissolve the solids, but this can reduce the overall efficiency of the reactions. Now, the team have used an ultrasound bath to break up the byproducts to prevent clogging. Traditionally, pharmaceutical manufacture is done in a batch-based system, but the process suffers from interruptions and the need to transport material between batch reactors. Performing these reactions in a continuous flow system would speed up the process and reduce chemical waste. The team tested the method on palladium-catalysed C-N cross-coupling reactions, making amines that are common in biologically active molecules. The reactions couple aryl halides to nitrogen nucleophiles and form byproducts - inorganic salts - that are insoluble in the solvents used. As a result, says Noël, they were able to obtain diarylamine products with reaction times ranging from 20 seconds to 10 minutes. At very short residence times (time in the reactor under reaction conditions) they observed a significantly higher rate for the reaction in flow compared to the equivalent batch experiments. With high conversions in short reaction times, they were able to reduce the catalyst loading in flow to just 0.1 mol per cent. 'Extremely low catalyst loadings such as these are of particular interest to the pharmaceutical industry,' says Noël. Noël believes that in the future microfluidics will be used to construct increasingly complex molecules. Different devices will automate and integrate many synthetic steps that are currently performed using the more traditional and time-consuming batch-based practices. 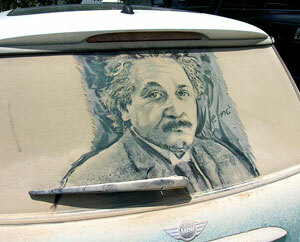 Cars start thanks to Einstein's principle of relativity. That's the peculiar conclusion of new calculations by Rajeev Ahuja of Uppsala University in Sweden and his coworkers, who have looked at how relativistic effects on electron energies in lead atoms affect the voltage of the lead-acid battery, the standard electrical power source in cars. They find that these contribute around 80-85 per cent of the electrical potential of about 2.1V developed by such batteries. Developed in the mid-19th century, the lead-acid cell is heavy and rather noxious, but because of its low cost and relatively high power it remains the most common battery for vehicles. During discharge, the lead cathode and lead oxide (PbO2) anode, immersed in sulfuric acid, are converted to lead sulfate. In heavy atoms, the large positive charge of the massive nuclei can give the electrons such high energies that they move at a significant fraction of the speed of light. The theory of relativity then predicts that their mass increases, altering their distribution and the way inner electrons shield outer electrons from the nuclear charge. The result is a shift in electronic energy levels and corresponding chemical and physical behaviour. The yellow colour of gold and the low melting point of mercury are caused by relativistic effects, and it has been long known that they affect the properties of lead too. Ahuja and colleagues performed quantum-chemical calculations to determine how relativity alters the electronic band structures of lead oxide and sulfate. They find that all the s and p shells of lead (especially the 6s) are stabilised by relativistic effects, particularly in the oxide. They calculate the electromotive force of the lead-acid cell to be 2.13V, in close agreement with the experimental value. Without relativistic effects included, the voltage is 1.7-1.8V lower. 'I had been expecting this result for more than two decades, but there was no proof,' says Ahuja's coauthor Pekka Pyykkö of the University of Helsinki in Finland. He says the magnitude of the effect didn't surprise him, as crude estimates implied that without relativistic corrections the potential (and the reaction) might even be reversed - as it is for the analogous case of tin, which can be considered 'non-relativistic lead'. Russell Egdell, an inorganic chemist at the University of Oxford in the UK, concurs that significant relativistic stabilisation of 6s electrons in elements like mercury and lead is already recognised, but adds that 'the paper is the first to link relativity to the voltage of the lead acid battery.' and that it emphasises the need to include relativistic terms in calculations of candidate battery systems involving heavy elements. Academics are concerned that £61m research grant cuts through to 2015 at the Engineering and Physical Sciences Research Council (EPSRC), changes in how students are funded and more centralised control will threaten careers. Chemists have warned that the latest plans from the EPSRC, the UK's key source of chemistry research funding, will see it seize greater control of scientific strategy. One key change, published as part of the government's funding plans for science and research through to 2015 on 20 December 2010, is the EPSRC's seemingly innocuous role reclassification from 'funder' to 'sponsor'. 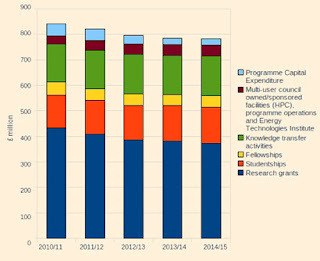 The EPSRC's plans also cut research grant expenditure by £61 million to £372 million between 2010-2011 and 2014-2015. Additionally, it will stop accepting grant proposals including funding for research project students on 31 January, supporting them instead exclusively through Centres for Doctoral Training and Doctoral Training Grants. However, this shift provides just a £13 million rise in funding for studentships through to 2015 to offset the research grant decline. Funding LHC means fewer PhDs? These cuts come even though the government 'ring-fenced' annual research funding at £4.6 billion through to 2014-2015. 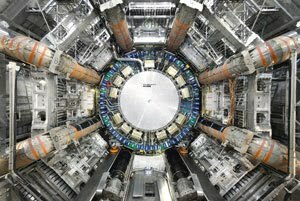 However, within this the Science and Technology Facilities Council (STFC) subscription budget for international facilities like the Large Hadron Collider will increase £54 million by 2014-2015, to account for 'exchange rate fluctuations'. The STFC's budget for cross-council facilities will also increase £23 million over this period, and the Medical Research Council's budget will grow by £29 million. All other research council budgets will shrink by 3 per cent to accommodate these rises. The EPSRC's cuts to its research grants will compensate both this loss of funding and a decrease in income from other sources. McGuire says that as a consequence the EPSRC will encourage equipment sharing and, while studentships remain a priority, its focus will be on the quality rather than the quantity of PhDs. 'It is difficult for us to predict the exact reduction in studentship numbers,' she added. Three-dimensional (3D) hydrogel scaffolds for studying cells under realistic physiological conditions have been made by scientists from the US and Korea to study drug absorption in the gut. Compared to traditional 2D cell cultures, culturing cells in 3D spaces provides a more realistic environment for the cells, making it similar to in vivo studies. Traditional fabrication methods for 3D hydrogels enable size control but are limited by the shapes they can produce - mainly confined to rectangles. Now, a team led by John March from Cornell University has developed a method that allows the fabrication of more complex shapes, like the ones commonly found in nature, and have created replicas of gastrointestinal villi on which to grow cells. They used laser ablation to create a plastic mould made from polydimethylsulfoxane that, after further steps, yielded a sacrificial hydrogel mould made from calcium alginate. The sacrificial mould was used to build a collagen scaffold and dissolved under physiological conditions, yielding the final hydrogel structure with the desired shape. To demonstrate its ability to act as a scaffold for cells, the team seeded human colon carcinoma cells on the hydrogel structure. These cells are used to study gastrointestinal epithelial cell lining in drug absorption studies. They took an image of the cell-covered structure with a scanning electron microscope and compared it to an image of human villi and found that they were similar. 'There is great interest in reconstructing biological subsystems within in vitro devices, connecting the language of biology in the former to the electrical, mechanical and optical signals of the latter,' says William Bentley, an expert in bioengineering at the University of Maryland, US. 'March and colleagues have created a 3D cell culture environment that will eventually report on the complex processes at the interface between the intestine and the human microbiome [microbes in the gut],' he adds. 'I hope that we can someday replace the live animal models that are in current use as they can be inaccurate and costly,' says March. DuPont has agreed to buy Danish food ingredients and enzymes company Danisco for $5.8 billion (£3.7 billion), plus $500 million of Danisco net debt. The deal will hit DuPont shareholders with a temporary reduction in earnings per share, but it will also take the chemical giant - which made 2009 sales of $26 billion - into an area that experts say is likely to benefit the company in the long term. Danisco generates about 65 per cent of sales from food ingredients, including sweeteners, emulsifiers and probiotics, and 35 per cent from Genencor, its industrial enzymes unit. The company employs 7000 staff and generated sales of DKK14 billion (£1.6 billion) in its last financial year. In general, the big chemical companies will look to make acquisitions as they recover from the global economic crisis, says Constantine Biller, director and senior analyst for chemicals at UK corporate finance advisory firm Clearwater. 'Quite a lot of large chemical groups focussed internally on their own operations, which resulted in them conserving a lot of cash,' he says. 'That cash conservation has put them in quite a good position now that the mergers and acquisitions market has returned.' DuPont is putting up $3 billion in cash and making up the difference in debt financing. According to Biller, the food and drink market is one of three that are particularly attractive at the moment because of their apparent resilience to difficult economic conditions - the other two are the pharma and personal care markets. In addition, the deal gives DuPont exposure to both ends of the product chain for foods. In 1999, it paid $7.7 billion for the remaining 80 per cent of US seed company Pioneer Hi-Bred, dramatically elevating its position in the seed market and bringing into competition with agrichemical giant Monsanto. DuPont already works with Danisco as part of a joint venture on the development of cellulosic ethanol technology. Biller says the deal is likely to spark new interest in similar businesses, such as German flavour and fragrances company Symrise, which has been surrounded by acquisition speculation for several years. Symrise made €1.4 billion (£1.2 billion) in sales in 2009. Scientists from China have developed a water-soluble zinc-based fluorescent sensor to detect pyrophosphate in blood that isn't affected by the environment and can be used in real blood samples. Pyrophosphate plays an important role in metabolic processes in the body but a lack of the compound can lead to calcium deposits in arteries - called Mönckeberg's arteriosclerosis. Too much pyrophosphate causes calcium pyrophosphate deposition disease, where calcium pyrophosphate dihydrate crystals accumulate in connective tissues. 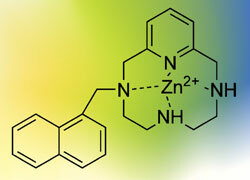 Zhilin Wang from Nanjing University and colleagues made the sensor by binding zinc to a water-soluble naphthalene functionalised tetraazamacrocycle, a molecule containing a ring of seven or more atoms, four of which are nitrogen atoms. They measured the fluorescence response at this stage then tested the compound in a buffer solution with pyrophosphate mixed with other anions. They found that the zinc bound only to the pyrophosphate and a second fluorescence response was measured. The ratio of the measurements was taken to indicate the amount of pyrophosphate present - a process called ratiometric fluorescence. Current sensors respond to pyrophosphate by changing this fluorescence intensity, but this can be disturbed by the environment, says Wang. Ratiometric fluorescence sensors work by calculating the ratio of the fluorescence intensities at two different wavelengths, which is not affected by environmental factors. In the future, Wang hopes to test the sensor in vivo, in particular for toxicity. 'Our fluorescent sensors can be excited by visible light, which is preferable,' he says, 'as they reduce damage to cells and organs.' Wang goes on to say that sensors that emit various visible colours with different pyrophosphate concentrations will be of value for applications such as paper based sensors. However, he adds that to obtain these sensors, this field needs further study. Sweeping reform to relax UK libel laws could protect scientific academics and journalists from being 'bullied into silence' at the prospect of costly legal battles with big businesses or wealthy individuals when they speak out in the public interest. In a speech on civil liberties on 7 January, Nick Clegg, the deputy prime minister explained how a new draft defamation bill due to be published in the spring will provide a new statutory defence for scientists and journalists who legitimately speak out about important issues. 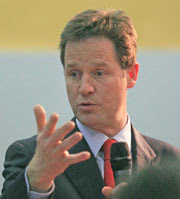 'Our aim is to turn English libel laws from an international laughing stock to an international blueprint,' said Clegg. Clegg highlighted that English libel laws at present are restricting scientific debate and investigative journalism. 'We want public-spirited academics and journalists to be fearless in publishing legitimate research. Not least when it relates to medical care or public safety,' he said. But he also emphasised that individuals and businesses must be able to protect their reputations from damaging and untrue statements. Science writer Simon Singh, who endured a lengthy court battle with the British Chiropractic Association after questioning the medical evidence behind some of its claims in a newspaper article, believes libel reform is vital. 'The devil will be in the detail, but I am optimistic that both Nick Clegg and Lord McNally, minister of state for justice, are committed to libel reform,' he tells Chemistry World. 'Of course, there will be vested interests who will lobby against libel reform, so the libel reform campaign will continue to work hard in order to make sure that Parliament delivers a radically reformed and fair libel law. The scientific community has played a crucial role in pushing libel reform up the political agenda, but the battle is not over,' he adds. In our modern society internet publishing has made it very easy for anyone to have their say. Clegg explained that the coalition government will clarify the law around the existing defences of fair comment and justification and will address the high costs of defamation proceedings. 'And we're going to look at how the law can be updated to better reflect the realities of the internet,' he said. The state of California is being sued following the decision by its Department of Pesticide Regulation (DPR) to approve the use of the controversial fumigant pesticide methyl iodide, despite objections from chemists and Nobel laureates. On California Governor Gerald Brown's first day in office - 3 January - a lawsuit was announced by a coalition of environmental health groups to challenge the approval on the grounds that it violates the California Environmental Quality Act, the California Birth Defects Prevention Act, and other laws that protect groundwater from pesticide pollution. The plaintiffs want Brown to reverse the DPR's decision. 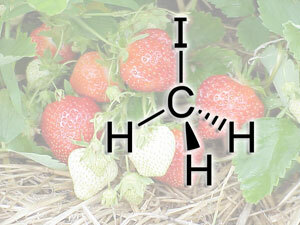 Methyl iodide products - made by Arysta LifeScience in North Carolina, US and sold under the brand name Midas - are primarily used in California to treat soil where strawberries, nursery plants and nut trees are to be planted. Robert Bergman, a University of California Berkeley chemist who helped get more than 50 scientists to sign a letter in 2007 warning the US Environmental Protection Agency (EPA) against permitting use of methyl iodide, tellsChemistry World that the neurotoxin is especially dangerous to younger children and foetuses. Although the state claims the chemical can be applied to strawberry fields safely, Bergman is sceptical that the state has the resources to enforce the stringent requirements needed to ensure workers and nearby residents will be protected everywhere that methyl iodide will be used. 'In my opinion, the necessary teeth are not there,' he says, also noting that it is difficult to tell how much of the chemical might get into the groundwater. The DPR received more than 50,000 public comments after proposing registration of methyl iodide in April 2010, most of which expressed concern about potential health risks. The DPR says California's methyl iodide use restrictions are more stringent than those required by the EPA and other states where it is applied. Research professor Dale Hattis, of Clark University in Worcester, US, a member of the SRC, says the DPR 'ignored the advice' of his panel and its own internal experts. According to Hattis, the DPR has changed the safety target for community exposure to the chemical, making it 100-fold less stringent. 'They changed the technical goals without anything like a credible analysis that suggested that the revised goals were appropriate or that their management measures would achieve these goals,' he tells Chemistry World. A greener way to convert alcohols to their corresponding bromides and iodides using visible light and without generating wasteful by-products has been developed by US researchers. The new method could provide an industrially viable alternative to existing routes. The transformation of alcohols to their corresponding halides is one of the most widely used reactions in organic synthesis, but traditional methods often require harsh conditions and can generate high levels of undesired stoichiometric waste by-products that are difficult to remove from the reaction mixture. 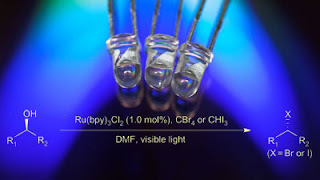 Corey Stephenson and colleagues at Boston University have converted alcohols to halides using a photocatalyst that absorbs blue light from a light-emitting diode (LED) and polyhalomethanes such as carbon tetrabromide (CBr4) and triiodomethane (CHI3) as the halide source. Stephenson explains that traditional methods for converting alcohols to halides have used triphenylphosphine as a two electron reductant. 'When you use triphenylphosphine in the reaction, you end up with a useless stoichiometric by-product of phosphine oxide,' he says. He explains that his method prevents the formation of by-products and takes place under mild conditions. 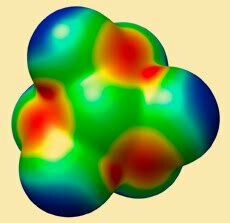 The team employed a ruthenium (II) complex to absorb visible light to form an excited ruthenium (II) complex. This 'excited state' catalyst acts as a reducing agent by giving up an electron to CBr4 to form a ruthenium (III) complex which the team observed by fluorescence quenching experiments. The CBr4 then dissociates to form a CBr3 radical and Br-. The CBr3 radical then combines with a dimethylformamide (DMF) solvent to produce a solvent active species that goes on to react with the alcohol to form the resulting halide at yields of up to 98 per cent. 'The use of this visible light activated photocatalyst together with the great yields achieved suggests to me that this certainly should be viable for scale up,' says Peter Robertson, an expert in photocatalysis at Robert Gordon University in Aberdeen, UK. 'The authors use blue LEDs here and the power requirements from an engineering point of view would be more favourable than other UV activated processes,' he adds. 'The scale that we can do the reaction on now is sufficient for what we need, but there is the possibility for some kind of flow apparatus to be used to scale up the process to an industrial scale,' says Stephenson. The team is now looking at ways to expand on this reaction to develop a more general method for activating carbon-oxygen bonds for other nucleophilic displacement processes. The mystery of how sea urchins maintain sharp teeth as they grind holes into rock has been solved by researchers in the US and Israel. By revealing the detailed structure of the tooth to understand its self-sharpening mechanism, the work raises the possibility of one day creating self-sharpening tools. 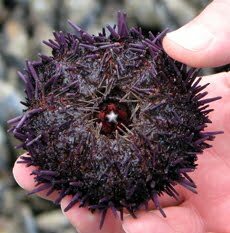 Sea urchins use their teeth to scrape algae off rocks and carve holes for sanctuary from predators and waves. It was known that urchin teeth remain sharp with use, and that their teeth comprise a complex arrangement of calcite (calcium carbonate) crystals, forming plates and fibres that are cemented together by a polycrystalline matrix of nanoparticles. However, the limestone rock which they grind is also mainly composed of calcite creating a puzzle: how can the tooth be stronger than the rock? 'You always use a harder tool to either grind or break or fracture parts of another object,' says Pupa Gilbert at the University of Wisconsin, Madison, US who, with colleagues, has figured out the answer by looking at the fine details of the complex tooth structure of the California purple sea urchin. 'In this case the tooth is harder, but it's harder because it's designed very smartly and because of the subdivision into nanoparticles that make it much more robust.' The key to this design is how and where the tooth breaks. The tooth's surface breaks so as to shed a layer of material in a very specific location at the nanoscale. Since the tooth constantly grows, this wearing and shedding action continually exposes the stronger and fresh 'stone' part of the tooth. 'It's beautiful characterisation and we haven't had this level of resolution of what's really going on inside of the sea urchin tooth before,' says Lara Estroff who investigates bioinspired materials at Cornell University in Ithaca, New York, US. She is particularly excited about the idea of now synthesising a material with pre-programmed fault lines. Gilbert speculates that the self-sharpening principle could be useful for designing layered self-assembling nanomaterials in a variety of morphologies that always have a fresh surface to do a specific job. The largest nitrogen oxide molecule discovered to date could function as a rocket propellant, according to chemists in Sweden who have synthesised it for the first time. Trinitramide, N(NO2)3, has a higher energy and density than other materials used to combust rocket fuel - but some researchers are doubtful it will ever be useable outside the lab. Could trinitramide be used in rocket fuel? Trinitramide is one of a series of nitrogen oxides - substances containing just nitrogen and oxygen - which were identified as early as the 1700s. The largest one before trinitramide was dinitrogen pentoxide, N2O5, discovered in 1840. Tore Brinck and colleagues at Sweden's Royal Institute of Technology synthesised trinitramide by dissolving either potassium dinitramide or ammonium dinitramide to end up with ions of N(NO2)2- in solution. Next, the researchers cooled the solution close to its freezing point of -45°C and carefully added the salt NO2BF4, which nitrated the ions to form trinitramide. The procedure was tricky, according to Brinck, because the nitration released so much heat it risked decomposing the trinitramide itself. Trinitramide has the potential to serve within a rocket propellant because it can act as an 'oxidiser' used to combust rocket fuel. In theory, it should have a very high energy content because it contains a high proportion of nitrogen, which is stable and therefore releases a lot of heat upon combustion, and should deliver a high 'density impulse' or performance per volume, because it is very dense. Also, unlike ammonium perchlorate (AP), an oxidiser used in Nasa rockets, trinitramide contains no chlorine, which makes it more environmentally friendly. But although experts praise the work, they are not so sure trinitramide will work as a propellant in practice. Karl Christe of the University of Southern California in the US was part of a group in the 1990s that postulated trinitramide would be unstable at ambient temperatures, which could rule it out as a replacement for AP. 'We abandoned [trying to isolate] the compound once we realised it was thermally unstable,' Christe says. Brinck admits that trinitramide's instability is a disadvantage for replacing AP, but points out that not all oxidisers function in the warm. He suggests trinitramide could replace nitrogen tetroxide, used to control the space shuttle in the cold of space, or liquid oxygen, another space-industry oxidiser that functions at cryogenic temperatures. For both of these, Brinck claims, the density impulse could be 20 to 30 per cent better.